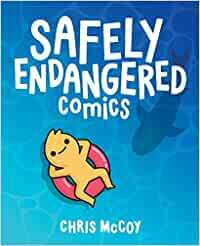 Beginnen Sie mit dem Lesen von Safely Endangered Comics (English Edition) auf Ihrem Kindle in weniger als einer Minute. Chris McCoy is a comic creator based in his hometown of Liverpool, UK. He spent his childhood drawing pictures in the back of schoolbooks. Now he spends his adulthood drawing pictures on the internet. 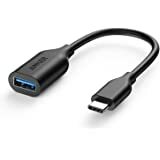 Anker USB-C auf USB 3.1 Adapter, Wandelt USB-C Weiblich in USB-A Weiblich um, Erstklassige USB OTG Technologie, für MacBook Pro, neuere MacBooks, Nexus 5X / 6P, ChromeBook Pixel, Nokia N1 Tablet usw. its very good. 11/10. must read. 5,0 von 5 SternenSo good! I have seen a few of these comics floating around online, but never devoted any real effort towards finding them. I really should have. This book shows that I am really slow on the uptake of modern webcomics. I loved this book. I read it while I was stuck in doing work things, that required a bunch of waiting around. Despite being surrounded by coworkers and others that I come in contact with regularly while working, I was laughing out loud and snorting over theses comics. I showed a few pages to someone and she started laughing. She didn't know what webcomics were, so now she says that she will look them up if they are anything like this one. So just a few comics and someone was converted. It was that good. Most of the book was filled with comics that I hadn't seen before, which given my level of dedication is not that surprising. It was, however refreshing, after the last few collection of webcomics that I read left me sad. This one made me laugh, it made me interested in the comic, and it even mentioned a way to support the author even more. There is just so much to love about the comic. The art is simple, in a way that allows the joke to take center stage. It is not overly simplistic so I know I couldn't draw anything better even if I tried, but it seems intentionally to focus on the humor. I am impressed. I’m a sucker for collected web comic collections, so when I saw a new one out, I had to give it a try. On the whole, if you’re a fan of the medium, I think this would definitely be worth your time. It’s a fun mix of snarky and cute! Like most web comics, it has a deceptively simple, cutesy style. Most things are simple shapes with small added details, like squiggles for hair or fur. I loved the color choices – people are variously yellow, purple or blue. All the text was easy to read. While there are some comics that are kid-friendly, most involve some form of dark humor. Frankly, I found a lot of them hilarious, though like most collections, there were a few duds for me. Most of the comics are 3-5 panels on a single page, with very few comics that refer back to previous comics as a gag. There’s a lot of variety in the jokes, though a good deal of them deal with pop culture. 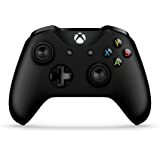 There’s lots of video game jokes, from Pokemon to Super Mario, as well as perennial nerd favorites Star Wars and Harry Potter. My one critique is that it’s literally just a bunch of comics thrown together in no particular order I could discern. There’s no attempt to arrange them by category and no real editorial content. 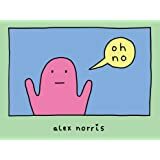 That cuts down on the re-readability of the book a lot for me, as it feels like there’s not much to really discern it from just reading the comics on the internet. Overall, I enjoyed the collection, and I’ll definitely be looking up more of Mr. McCoy’s work, but I think I would try to borrow this from the library over purchasing it, unless you’re a huge fan. 5,0 von 5 SternenWhy are you even reading this? Just buy the book already. 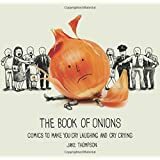 This collection of comics includes some of the greatest hits from McCoy's webcomic of the same name, alongside comics that are exclusive to this collection. As some reviewers have already voiced, the humor isn't for everyone. Count me out of this group. These comics are witty, twisted, a little dark, but unfailingly hilarious. McCoy is a master of his medium and his debut collection is not to be missed. I received my copy of Safely Endangered from the published in exchange for an honest review.